And while we can’t control what pops up in our child’s news feed, we can help them deal with the feelings that arise when a picture or a post triggers an all-familar pang of hurt in their heart. For girls especially, who are relationship-driven, Instagram can be a mixed blessing. While it lets them connect with friends, it also offers proof of every gathering they aren’t invited to. Parents often tell me they hate Instagram for this reason. While our generation was blissfully unaware of being left out of social gatherings, today’s kids see it aired for everyone to see. They have a 24/7 live stream of the highlights in people’s lives. There’s been a lot of press lately on the harmful side effects of social media, and studies now show how Instagram is the most damaging social media platform when it comes to young people’s mental health. More than any forum – even Snapchat – it can make girls feel lonely, depressed, and anxious. This is serious stuff, and as we parents we must keep it in mind as we decide what’s best for our child. Is she mature enough to use Instagram responsibly and safely? Does she understand online safety, keeping a private account, and accepting only the followers she knows? Does she know the truth about her identity and self-worth so she doesn’t define herself by her “likes”? Does she show good judgment in knowing what’s appropriate and what’s not appropriate in the posts and comments she makes? Is my daughter emotionally ready for Instagram? 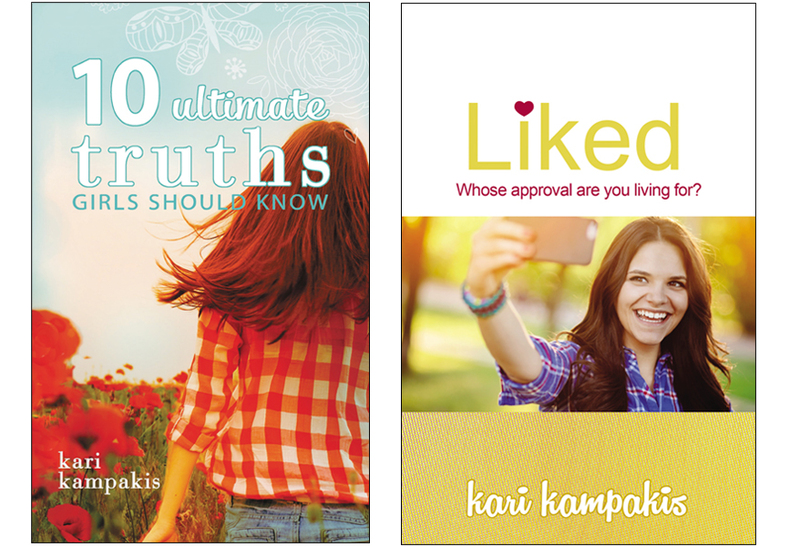 Can she handle the hard and unpleasant emotions that get triggered in her as she scrolls through a news feed? Having this conversation early can lessen the sting of hurt feelings and prepare your daughter for what’s ahead. It can assure her that hard feelings are normal and equip her to decide for herself whether the upside of social media (connection after school hours) outweighs the downside of social media (knowing when you’re left out and wrestling with jealousy, comparison, and insecurity). Earlier this year, I shared this message with a 4th grade Bible club of girls who aren’t on social media yet, and the girls totally got it. While this message certainly won’t save them social media heartache, I do believe giving them a head’s up – and sharing this message before it’s relevant to their life – may make them less likely to crumble and more likely to talk through their emotions when the time comes. Social media is supposed to be fun. And when it stops being fun, or when it causes more feelings of stress and anxiety than positive connection, then it’s time to get off. You will see pictures of things that make you feel left out or jealous. Even at my age I feel that way sometimes, so I’m here if you need to talk. At the same time, part of being on social media is learning to handle hard or uncomfortable emotions so they don’t hurt you or your relationships. It’s okay to feel hurt over a post, but if you dwell on every hurt, then that suggests a problem. If seeing a picture of some friends eating pizza without you makes you cry for an hour, you aren’t emotionally ready for Instagram. If seeing your friends on fancy vacations while we’re at the beach makes you so jealous you can’t see straight, you aren’t emotionally ready for Instagram. And if you get upset because you got 100 likes on a picture and your friend got 150 likes, you aren’t emotionally ready for Instagram. Again, social media is supposed to be fun. And if it ever starts to cause you more grief than happiness, that’s a sign that you should get off it, delete your account, or take an intentional break. I know a number of adults who aren’t on social media because they realized it’s not good for them. They are happy with their lives until they get online and feel the sudden discontent. It shows wisdom, maturity, and self-love to protect yourself like this. And as a parent in the digital age, I want that self-awareness for me and my kids too. Maybe social media will be good for them; maybe it won’t be. Maybe it will enrich their lives; maybe it will only make them dissatisfied. Whatever the case is, I hope my girls constantly evaluate whether social media is worth their time and attention and invest FIRST in those relationships that happen face-to-face. 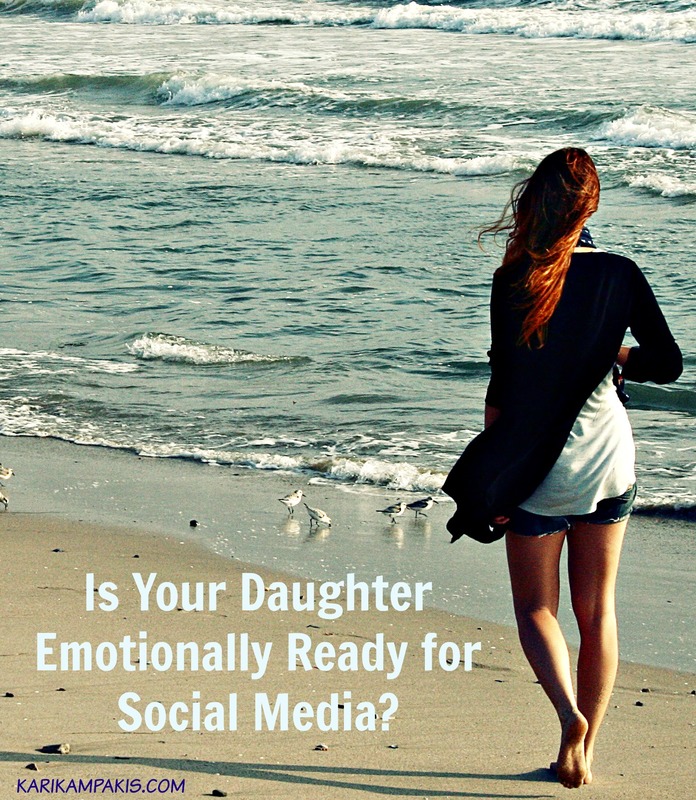 Is your daughter ready for Instagram? Only you can answer that. But if I have any advice, it is to empower your daughter in advance to handle the emotional ups and downs. Give her examples from your life. Tell her how you cope. Make sure she knows it’s normal to feel those difficult feelings and sometimes see posts in her news feed that catch her heart off-guard. And if your daughter sees a picture that feels like exclusion, stay calm. Hug her, love her, and help her make a plan. While it’s certainly okay to cry, she doesn’t have to let a picture ruin her entire night. She can cry it out and then move on – putting her phone away and engaging in real-life fun with a family member or a friend who offers a timely and needed distraction. BATON ROUGE, LA: Wed., Feb. 6 at 6 p.m. Baton Rogue FUMC. Tickets are $15 and can be purchased here. BIRMINGHAM, AL: Sat., Feb. 23 at 6:30 p.m. at Mountain Brook Community Church. Event is free, but please register here. SHREVEPORT, LA: Thurs., March 7. More details to come. This was a wonderful post and really good advice for anyone at any age. So much heartbreak is happening to both girls and boys from social media. You have to ask yourself if it’s really worth it in the long run. You don’t want them to feel left out for not being on social media, but if they’re not emotionally ready for it then it can only make their lives more complicated. I don’t look forward to this in a few years.. but I’m educating myself to be ready. Very helpful article that’s well balanced and covers all sides. I think the advice applies to all social media platforms. I have already told my 10 year old daughter she is not getting a smart phone until she’s 15 and have explained some of the reasons. As you mention, the ‘negative’ aspects of social media impact adults too. This is a terrific post. As a professional who works with teens and families too, I’d add that moms might like to rehearse the self-talk that might go along with being okay when a kid sees something which hurts her heart. In other words, what will I say inside my head instead of “I’m so sad, I’ve been left out”? Helping kids reframe can be a great step toward resilience. And I LOVE that you point out this situation isn’t just about being 14! Thanks for your work! As a father figure to four girls, I really appreciate this article. I wish I had read it years ago. Our two youngest came to us when they were 9 and 11 (currently they are 11 and 13). We have had to take away Snapchat, but never realized how damaging Instagram can be to them. Thank you for the insight and helping us with an upcoming conversation. My 12 year old daughter had Snapchat & quickly got it taken away because a ‘friend’ of hers posted something inappropriate. It’s such a scary world out there & we have to protect our children. I liked the article except for the fact that boys were left out. They have feelings just like girls and go through the same emotions of feeling left out from social media posts.